Before search engines existed, the best way to navigate the Internet was through search directories such as Yahoo, the Open Directory Project, and Best of the Web. But these had some weaknesses. Because they were actually categorized lists of web sites, directories did not allow someone to search individual pages within a site. Furthermore, the categorization system limited how and when sites revealed themselves. And because directories were managed by people, they were limited in size and quickly became out of date. Carefully curated directories such as ADirectory do have a place, however, when searching for reference information about particular subjects. Search directories were far from perfect, and that got people thinking about better solutions. Enter the search engine. Search engines are different than search directories in that, instead of being a list of categories, a search engine is essentially a huge database that contains information from individual web sites and their web pages. Unlike search directories, search engines use spiders or "bots" to gather web pages and read the information stored on them. They then use algorithms to index that information. The result is that search engines are more specific tools than search directories — they can help users find detailed and relevant information quickly. In addition, they categorize web site content more broadly — a web site is not limited to only one category, for example, but may appear as a result of several different keyword searches. Furthermore, a search engine's web site information is periodically updated, so it is consistently up to date. The precursor to today's modern search engine was the World Wide Web Wanderer, which was a bot initially designed to measure the growth of the web by counting active web servers. One of the problems with the Wanderer was its inefficiency — it accessed the same pages hundreds of times per day, and caused significant server performance issues. 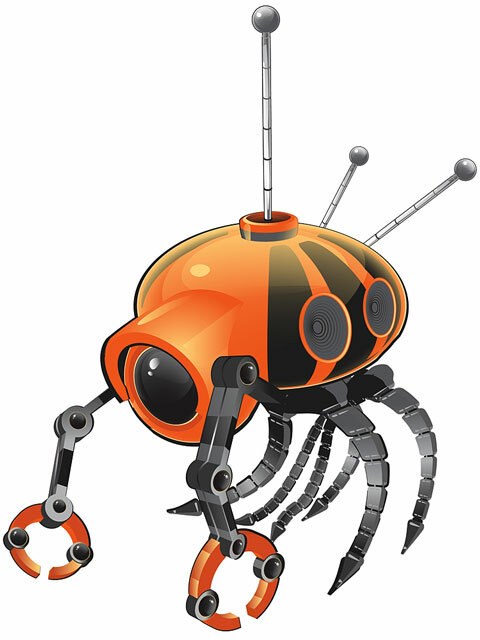 In response to the Wanderer, improved bot-fed search engines such as JumpStation, the World Wide Web Worm, and the Repository-Based Software Engineering (RBSE) spider were introduced. The WebCrawler, which was the first crawler to index entire pages, was introduced in 1994. This was followed by search engines such as Lycos, AltaVista, Hotbot, Ask Jeeves, Yahoo, and Overture. In 1998, Google came on the scene with some new technology that allowed the search engine to analyze "back links" pointing to a particular web site. In 1999, AOL selected Google as a search engine, followed by Yahoo a year later. The subsequent introduction of the Google toolbar and AdWords program rocketed Google to the top of all search engines. Today, Google is the most commonly used search engine on the web. Yahoo, MSN, AOL, and Ask.com are other popular search engines.